Situated within the historic Corn Exchange building in Bury St Edmunds, Gerald Boughton has spent 40 years building up an enviable reputation for the quality and variety of its menswear offering. As an independent business, they pride themselves on their quality of service, as well as the variety which they strive to offer from leading British and European Labels such as Magee, Viyella, Gurteen, Fynch Hatton and Digel, to name but a few. They understand that everyone is different and that we all have more than one side. With this in mind, you will find that they stock clothing and accessories to fulfil the needs of all occasions. From formal dress wear and business suits, to casual and weekend wear, as well as a full made to measure service; they have something to suit everyone. 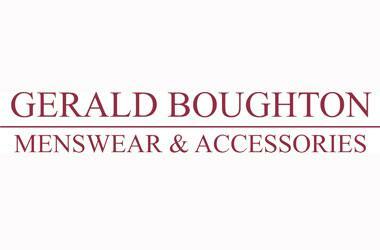 So whether your taste is for the classic or contemporary, you need look no further than Gerald Boughton. BLS English in Bury St Edmunds is a safe way to live and learn English in England. The Centre is a welcoming town centre venue offering three spaces for hire.